Due to paperwork error, van der Sande is cleared of doping charges. Pro Continental riders race on Zwift. 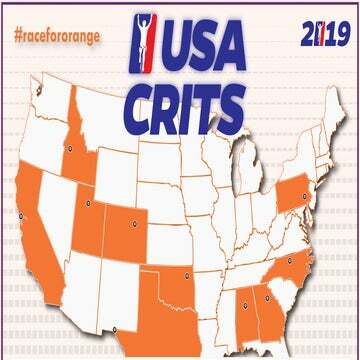 USA Crits announces D1 teams. Here’s your News roundup for Tuesday, January 23. This is our way of keeping you up to speed on all of the stories circulating in the world of pro cycling. Tosh Van der Sande (Lotto-Soudal) has been cleared by the UCI after a positive test for prednisolone, a corticosteroid, at the Six Days of Gent in November, Het Nieuwsblad reports. The 28-year-old Belgian ingested prednisolone via a nasal spray, Sofrasolone, which is allowed in competition when declared in doping control paperwork. According to Het Nieuwsblad, Van der Sande mistakenly listed the wrong nasal spray on his form at the time of the test. He was notified of his positive test in December, at which point his Lotto Soudal team suspended him from competition. Van der Sande’s lawyers explained the circumstances surrounding the test and the paperwork error in his defense to the UCI. Het Nieuwsblad reports that the UCI deemed the explanation satisfactory and has closed the case with no penalty for Van der Sande. Zwift’s new competition series, the KISS Super League, got underway on Wednesday with its opening round of men’s racing. Ian Bibby of the Madison-Genesis team won the inaugural event. The nascent esports league features 15 teams on the men’s side, including four UCI Pro Continental teams and nine Continental teams. Eight teams, six of them professional squads, will contest the women’s series, set to begin in February. USA Crits has finalized the line up of teams that will contest the series this season, with a total of 19 D1 squads across the men’s and women’s divisions. As in 2018, a prize purse will be on offer for the top-performing riders and teams through the season-long competition. Races will again be streamed online at USACRITS.tv. “We are creating a model that works. We need defined teams racing across America with storylines fans can follow and solutions to allow them to watch and keep up with their favorite teams,” said USA Crits director of development Scott Morris via a press release. The Colorado-based 303Project team has announced its full roster for the 2019 season with 12 returning riders and one newcomer. Johann van Zyl, who raced at the WorldTour level with Dimension Data for the past three years, has signed on to race with 303Project in 2019. The 27-year-old South African joins seven Americans, two Mexicans, a Spaniard, a Costa Rican, and an Australian in the team, now in its second year at the UCI Continental level. The squad will hold its first training camp of the season in early February in California. Rally Cycling has become Rally UHC Cycling for 2019. The American team has been sporting the new name on its jerseys since the start of the new year, but officially announced the change on Wednesday. Now in its 13th year, the squad that started as the Kelly Benefit Strategies team first added Rally Health as a title partner for the 2016 season. Rally, a digital health platform, is owned by the UnitedHealth group, meaning that two separate pro cycling teams raced under that umbrella until the end of 2018, when the long-running UnitedHealthcare Pro Cycling folded. That leaves the newly minted Rally UHC as the lone team to fly the UnitedHealthcare banner at the Pro Continental level in 2019. The team kit remains predominantly orange for 2019 but will incorporate UnitedHealthcare’s logo and blue accents for the new season.